This article is about musical composition with vocals. For the activity of producing song, see Singing. For other uses, see Song (disambiguation). For technical reasons, "Song #1" redirects here. For the song by Serebro, see Song Number 1. For technical reasons, "Song #3" redirects here. For the single by Stone Sour, see Song 3. A song is a single (and often standalone) work of music that is typically intended to be sung by the human voice with distinct and fixed pitches and patterns using sound and silence and a variety of forms that often include the repetition of sections. Through semantic widening, a broader sense of the word "song" may refer to instrumentals. Written words created specifically for music or for which music is specifically created, are called lyrics. If a pre-existing poem is set to composed music in classical music it is an art song. Songs that are sung on repeated pitches without distinct contours and patterns that rise and fall are called chants. Songs in a simple style that are learned informally are often referred to as folk songs. Songs that are composed for professional singers who sell their recordings or live shows to the mass market are called popular songs. These songs, which have broad appeal, are often composed by professional songwriters, composers and lyricists. Art songs are composed by trained classical composers for concert or recital performances. Songs are performed live and recorded on audio or video (or, in some cases, a song may be performed live and simultaneously recorded). Songs may also appear in plays, musical theatre, stage shows of any form, and within operas. Art songs are songs created for performance by classical artists, usually with piano or violin/viola accompaniment, although they can be sung solo. 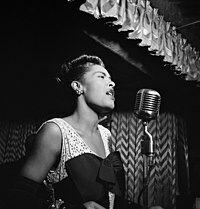 Art songs require strong vocal technique, understanding of language, diction and poetry for interpretation. Though such singers may also perform popular or folk songs on their programs, these characteristics and the use of poetry are what distinguish art songs from popular songs. Art songs are a tradition from most European countries, and now other countries with classical music traditions. German-speaking communities use the term art song ("Kunstlied") to distinguish so-called "serious" compositions from folk song ("Volkslied"). The lyrics are often written by a poet or lyricist and the music separately by a composer. Art songs may be more formally complicated than popular or folk songs, though many early Lieder by the likes of Franz Schubert are in simple strophic form. The accompaniment of European art songs is considered as an important part of the composition. Some art songs are so revered that they take on characteristics of national identification. Art songs emerge from the tradition of singing romantic love songs, often to an ideal or imaginary person and from religious songs. The troubadours and bards of Europe began the documented tradition of romantic songs, continued by the Elizabethan lutenists. Some of the earliest art songs are found in the music of Henry Purcell. The tradition of the romance, a love song with a flowing accompaniment, often in triple meter, entered opera in the 19th century, and spread from there throughout Europe. It spread into popular music and became one of the underpinnings of popular songs. While a romance generally has a simple accompaniment, art songs tend to have complicated, sophisticated accompaniments that underpin, embellish, illustrate or provide contrast to the voice. Sometimes the accompaniment performer has the melody, while the voice sings a more dramatic part. Folk songs are songs of often anonymous origin (or are public domain) that are transmitted orally. They are frequently a major aspect of national or cultural identity. Art songs often approach the status of folk songs when people forget who the author was. Folk songs are also frequently transmitted non-orally (that is, as sheet music), especially in the modern era. Folk songs exist in almost every culture. Popular songs may eventually become folk songs by the same process of detachment from its source. Folk songs are more-or-less in the public domain by definition, though there are many folk song entertainers who publish and record copyrighted original material. This tradition led also to the singer-songwriter style of performing, where an artist has written confessional poetry or personal statements and sings them set to music, most often with guitar accompaniment. There are many genres of popular songs, including torch songs, ballads, novelty songs, anthems, rock, blues and soul songs, and other commercial genres, such as rapping. Folk songs include ballads, lullabyes, plaints, love songs, mourning songs, dance songs, work songs, ritual songs and many more. Wikimedia Commons has media related to Songs. ^ Ozzi, Dan; Staff, Noisey (11 April 2018). "RLYR's 'Actual Existence' Is 40 Minutes of Beautiful Chaos". Noisey. Retrieved 26 January 2019. ^ Bernardinelli, Federico (19 August 2018). "Rocking on Banker's Hill, an Interview with El Ten Eleven". Arctic Drones. Retrieved 26 January 2019. ^ "Interview with Jasper TX | Sweden Experimental interviews". www.tokafi.com. Retrieved 26 January 2019. ^ Luise Eitel Peake. 1980. "Song". The New Grove Dictionary of Music and Musicians, sixth edition, 20 vols., edited by Stanley Sadie, Vol. 17: 510–23. London: Macmillan Publishers; New York: Grove's Dictionaries. ISBN 1-56159-174-2. Jean Nicolas De Surmont (2017), From vocal poetry to song, toward a Theory of Song Obects" with a foreword by Geoff Stahl, Stuttgart, Ibidem.